If the crockpot has become a staple in your kitchen, then you are already familiar with your basic, everyday chicken recipes. You might even have one or two go-to dishes that your family loves, but what about chicken tacos? 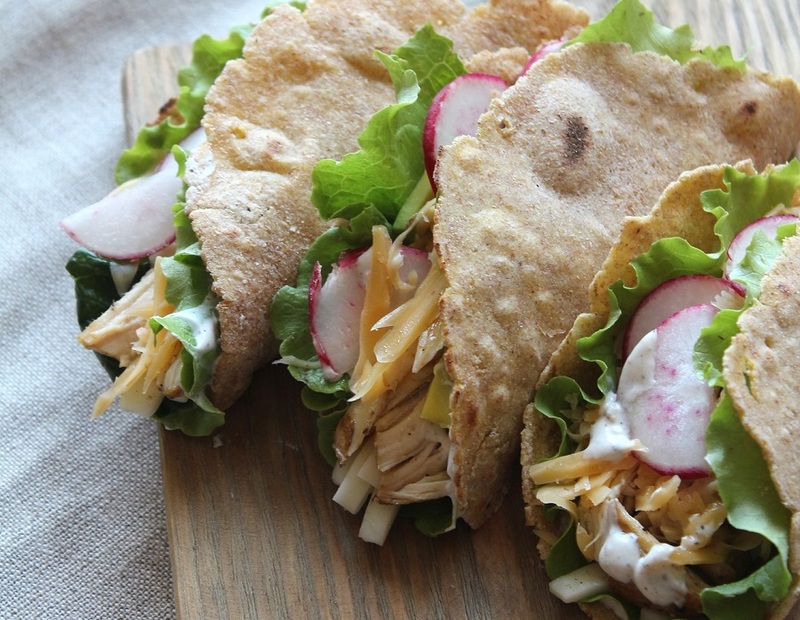 Crockpot Chicken taco recipes may be the tastiest version of tacos ever made. Best of all, you can make them in your own home with minimal effort and extraordinary taste. 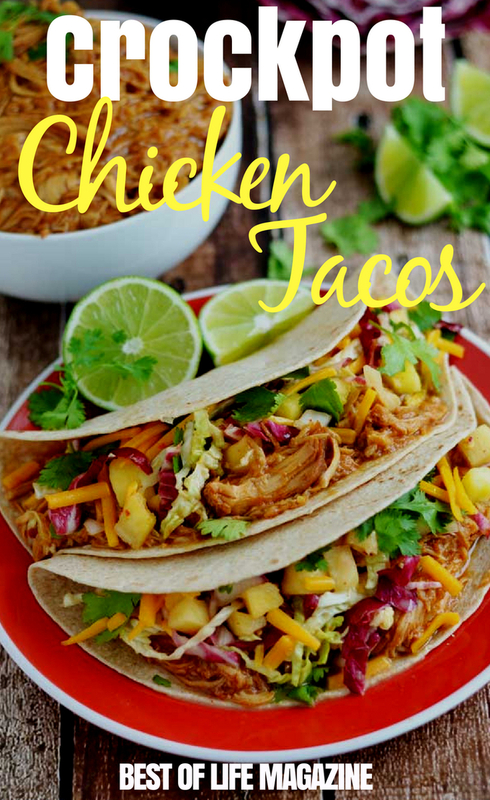 Any night can become Taco Tuesday with any one of the best crockpot chicken taco recipes for your whole family to enjoy. Sure, shredded chicken is easy in the crockpot. 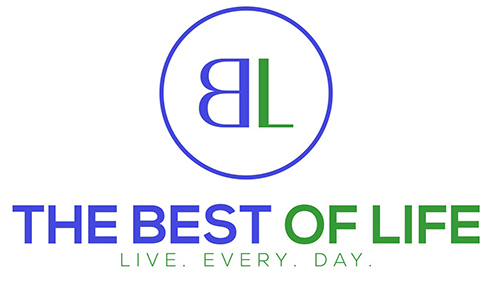 You can meal prep, make soups, stews, and casseroles. Chicken tacos, though, might take this slow cooking game to a new level. There are so many unique and flavorful ways to make crockpot chicken tacos that you might need to add a second Taco Tuesday to your week. (Taco Thursday, anyone?) 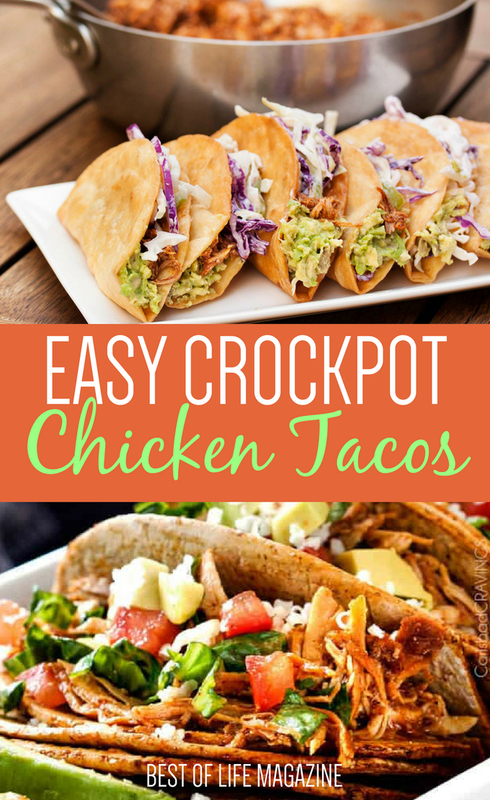 Crockpot chicken taco recipes will always equal one tasty, easy (maybe even silly) family feast. Pick one of these recipes, add the ingredients to your crockpot in the morning, and by dinner time you can put on your taco uniform, mix a pitcher of margaritas, chop up some fresh toppings, and enjoy!